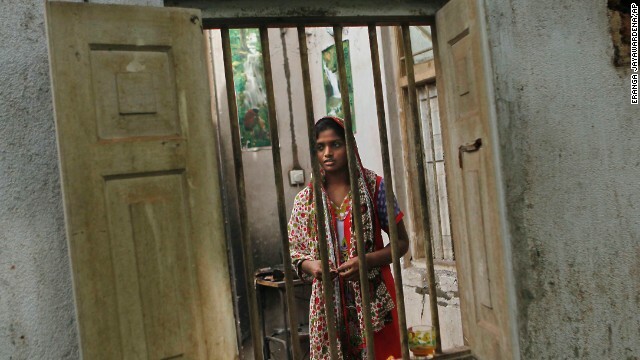 Day 587: Buddhist Racist Rage against Muslims in Sri-Lanka. I forgive myself that I have accepted and allowed myself to judge, condemn and criticize the so-called evils of society, not seeing/realizing I am part of the problem, as I accept and allow this abusive system in the first place. So demonizing the demons is not the way to go, but for sure expose the abuse, but in that don’t abuse the abusers. I have a tendency to abuse the abusers, which is very easy to do. Exposing the abuse is cool, otherwise silence is consent to continue the abuse. Context: I write this as last week there were some ethnic/religious riots in Sri-Lanka, in the southern city of Aluthgama, where the 2nd largest minority group is being attacked, here it is noteworthy to mention that the largest minority group, the Tamils, were defeated after a 30 year battle, so now the majority forces are turning their fire towards the next minority group, the Muslims. In fact, the Muslims and majority Sinhalese were brothers-in-arms in the war against the Tamils, well that has changed obviously. How fucked up is Racism/Ethnism/Groupism etc, whatever you want to call this. The Sinhala-Buddhist supremacist are now targeting the Muslims, already 3 killed and 80 wounded in Aluthgama, this number will only increase as the tensions are high. Note that the Muslims in Sri-Lanka are not linked to the Taliban or any other Islamic terror groups in the Muslim world, I mean, it is difficult to find fault with them in Sri-Lanka, other than insanely following and preaching their Islamic religious vanities, they do mind their own business and make a lot of money doing so, they are a prosperous minority group, perhaps that’s causing much jealousy within the Sinhala majority. See racism is so illogical, you hate for the sake of hating. The Sinhala-Buddhist group being the majority race/ethnicity/religion in the island of Sri-Lanka, they consider themselves as the superior group and at will can attack other minorities, as if the recently ended 3-decade old war is not enough. All groups differ in language, culture and religion: Sinhala-Buddhist, Tamil-Hindu, and Muslim (language-wise they can mix and match). But there is no love between the groups, the Tamils and Muslims may share at times the Tamil language, but certainly they don’t see eye to eye. The defeat of the Tamils were widely celebrated by the Muslims. 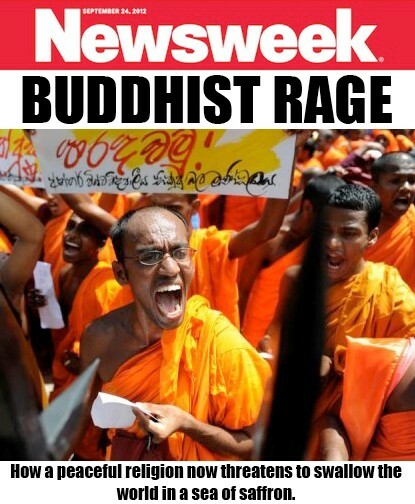 Now its their turn to take the wrath of the Sinhala-Buddhist racism. So this is the reality of our world, one against another, abusing, oppressing, killing, and whatnot. Add religious madness to this mess, you got a real mess. So naturally, I had lots of reactions to what’s going on, but it is of no use, I mean as I said, I am part of the problem, as I have accepted and allowed the current abusive system, so first, I must stand for a solution, for that I see/realize, hating the haters is no solution. I forgive myself that I have accepted and allowed myself to react in anger and hatred towards the Sinhala-Budhists, not seeing/realizing if I were born and raised as one of them, I would be doing the exact same thing, this is a virus passed down from generations before. Ever wonder why a fifth grader will throw racist remarks at a peer? Because we learn this hate-virus from generation to generation. Ever wonder why Muslims view the rest of us as “Infidels”? It is their belief-virus, no matter how insane it is, that’s what driving them. Here you can see how easily religious war mongers can spark a war. I forgive myself that I have accepted and allowed myself to not see/realize, all hell is breaking lose, because what we accept and allow within ourselves as beliefs, as ideas, as religions, within that justifying wars against each other. The Sinhala-Buddhist and the Muslims are from generations to generations have been at each other silently as wars of ideas and beliefs, which is now manifesting in the physical for all to see. “They simply do not know what they are doing”, within this I stop and breathe when and as I see any reactions coming up within me. Well, we have had so many kinds of wars in this world, perhaps not a Buddhist-Muslim war, may be its time for one. Oddly enough, it is the Buddhist monks who at the forefront of this holy battlefield, not the average citizen, who is too busy worrying about his/her survival as the cost of living in Sri-Lanka has reached the moon. And the ruling elite is all too happy to let the fun-times roll, because obviously, all the attention is now on the conflict, no worries about the real problems people are facing day to day. This is the story in every country now, only the attention diverting dramas are local. Previous Postday 586: preventing World War 4Next Postday 588: sports feelings, war feelings.